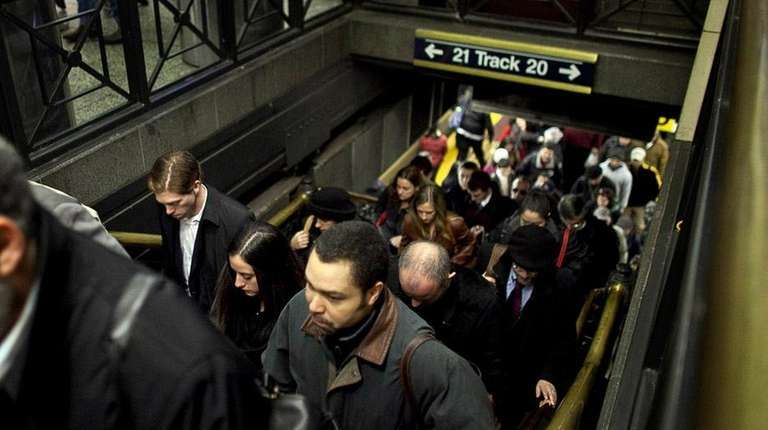 Three LIRR tracks are running with delays through rush hour at Penn Station Tuesday evening, including tracks 19, 20 and 21, said Sal Arena, a spokesman for the Long Island Rail Road. Additionally, all westbound trains to Penn Station are suspended, according to a tweet from LIRR. Commuters heading to and from Long Island should expect delays of 15 to 30 minutes for cancelled trains, but trains that are moving will travel at a regular pace, Arena said. A signal that controls traffic for LIRR tracks 19, 20 and 21 isn’t working. Amtrak is working to fix the issue, which most likely won’t be resolved until after rush hour. The LIRR uses tracks 13 through 21 at Penn Station, sharing 13, 14 and 15 with Amtrak, Arena said. Tracks 19, 20 and 21 are typically exclusive to the LIRR. For alternative routes, head to mta.info/lirr.